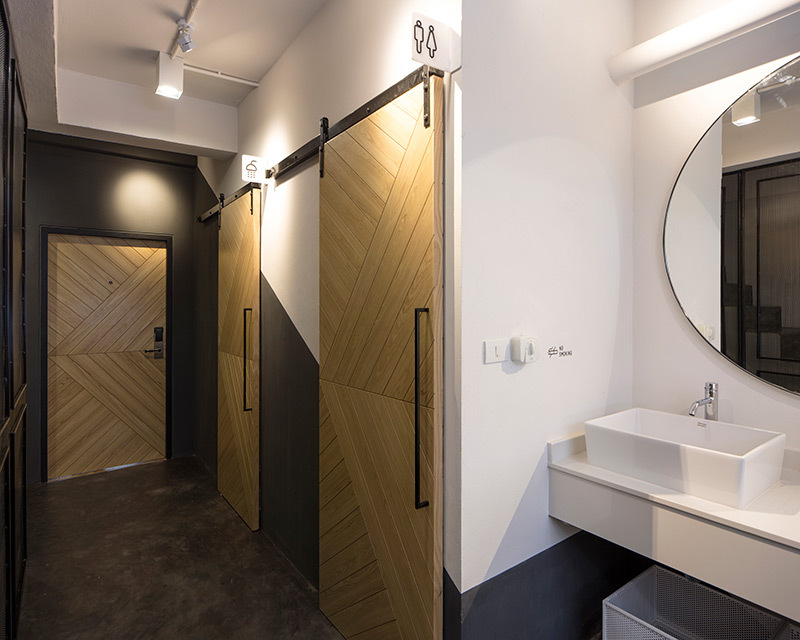 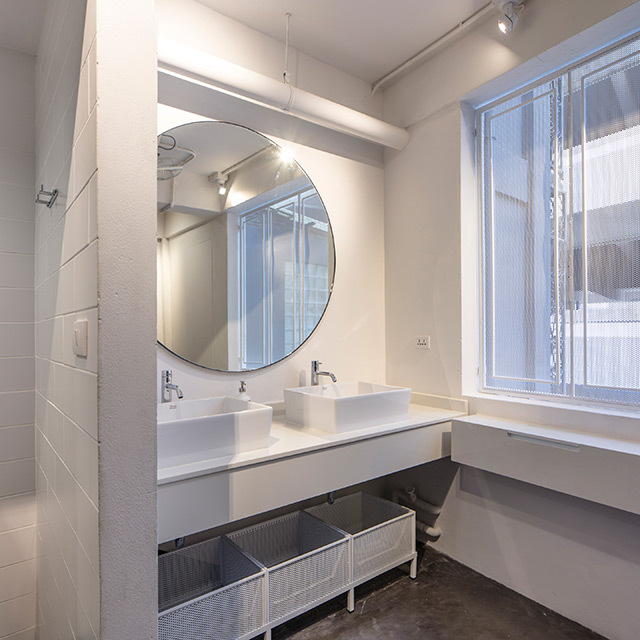 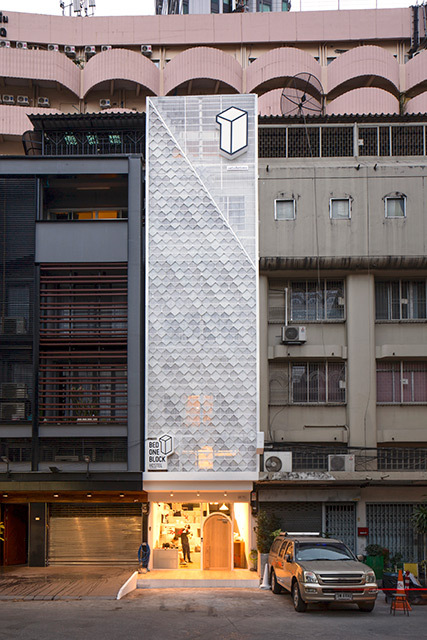 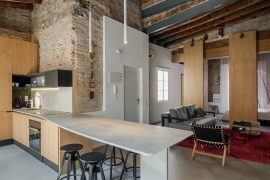 The Thai architecture and interior design studio A MILLIMETRE has been commissioned to design a modern hostel in a typical one-block-shophouse in Bangkok, Thailand. 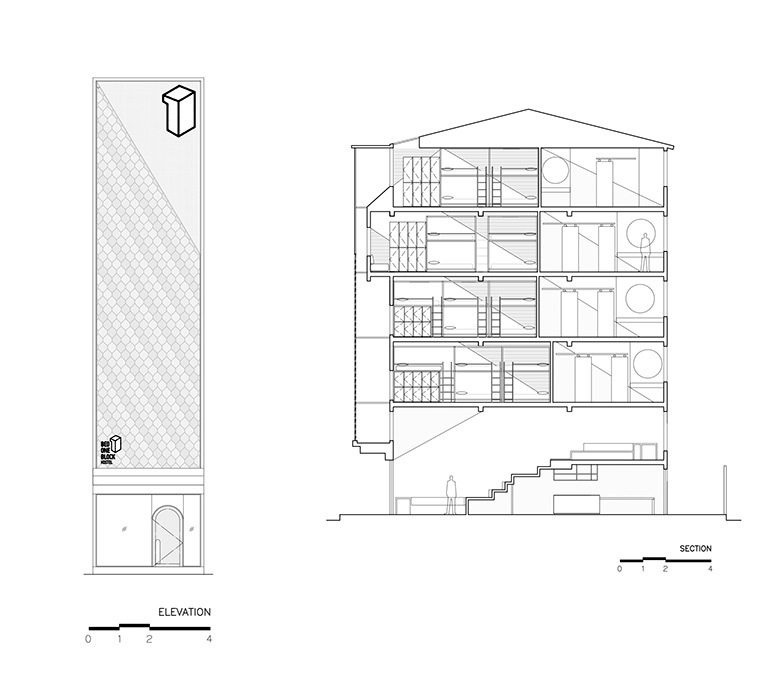 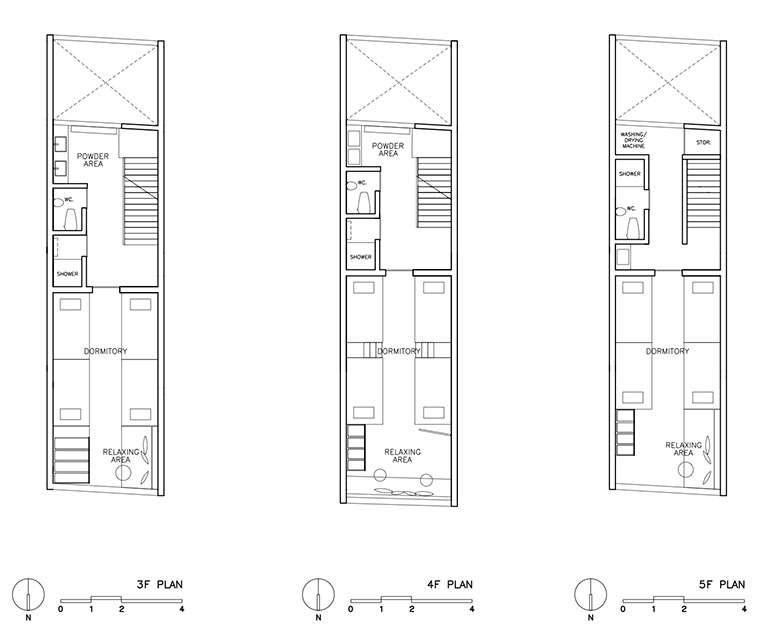 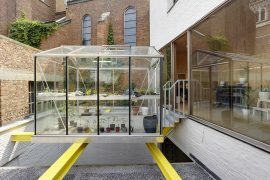 The five-storey building is located on a small plot that is only 4 meters (13.1 feet) in width and 16 meters (52.5 feet) in depth. 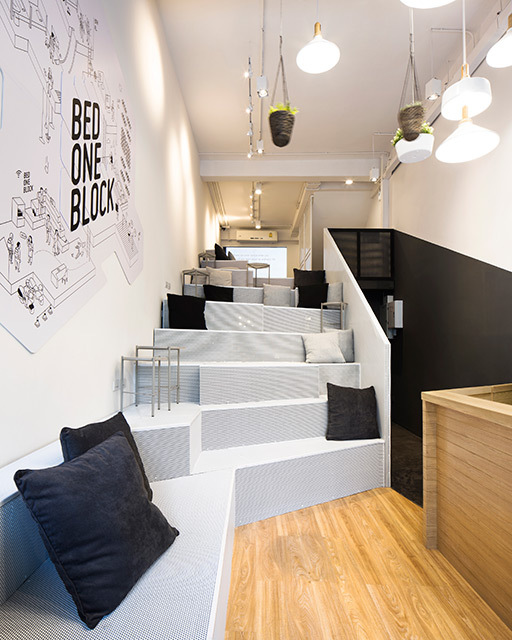 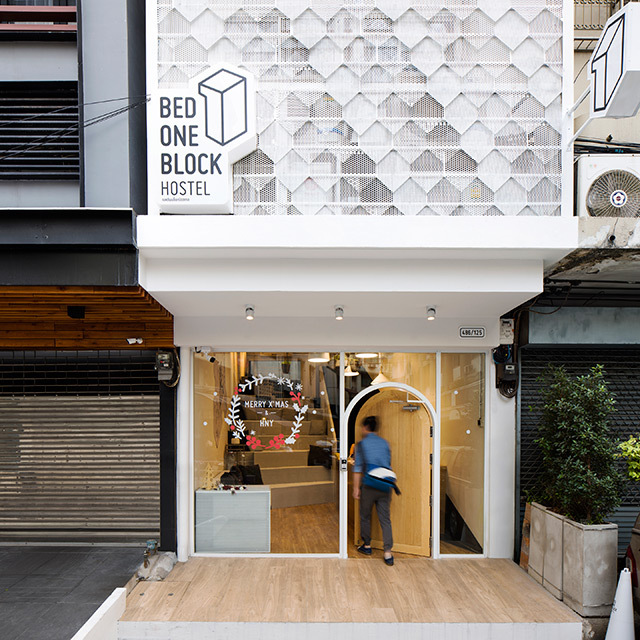 In the design of the new BED ONE BLOCK HOSTEL, social interactions play a major role. 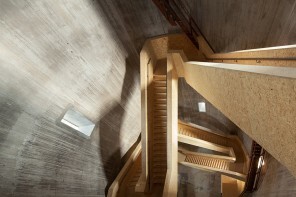 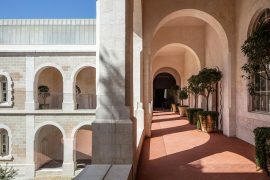 The architects organized many places inside for communication and relaxation. 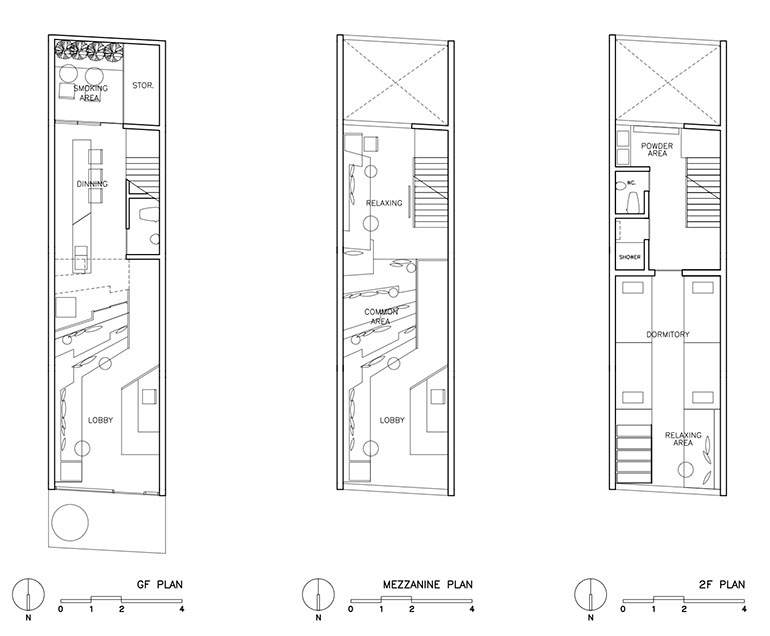 In the common area, the wide stair connected the ground floor with the mezzanine acts as a place for meetings. 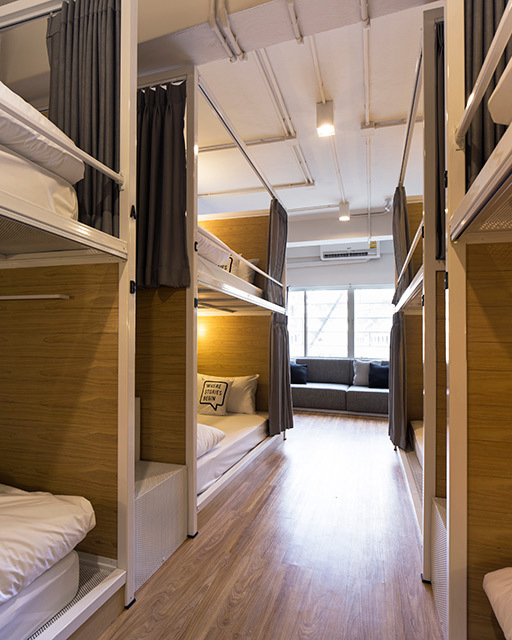 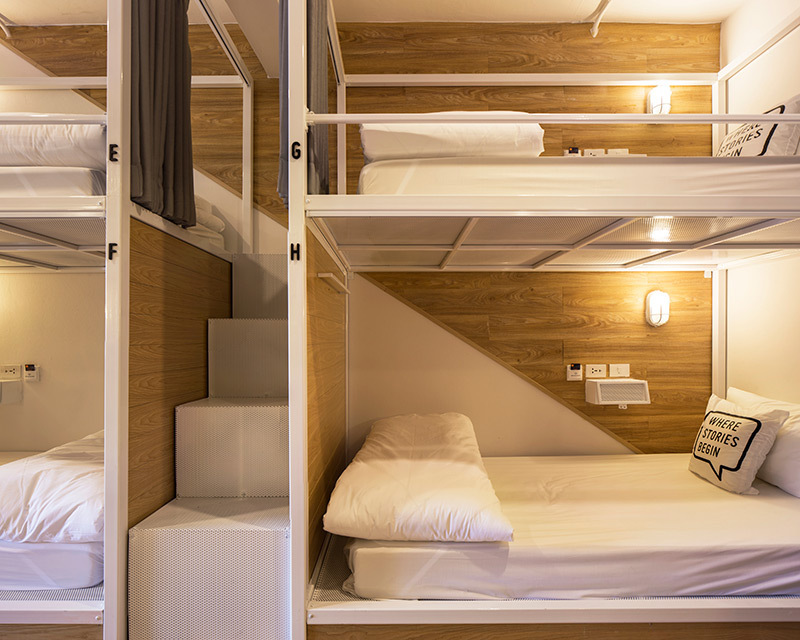 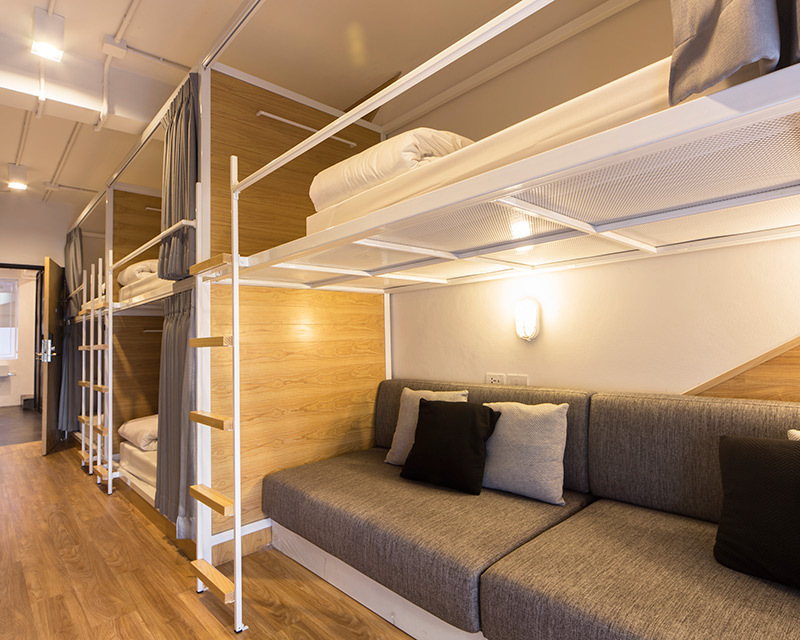 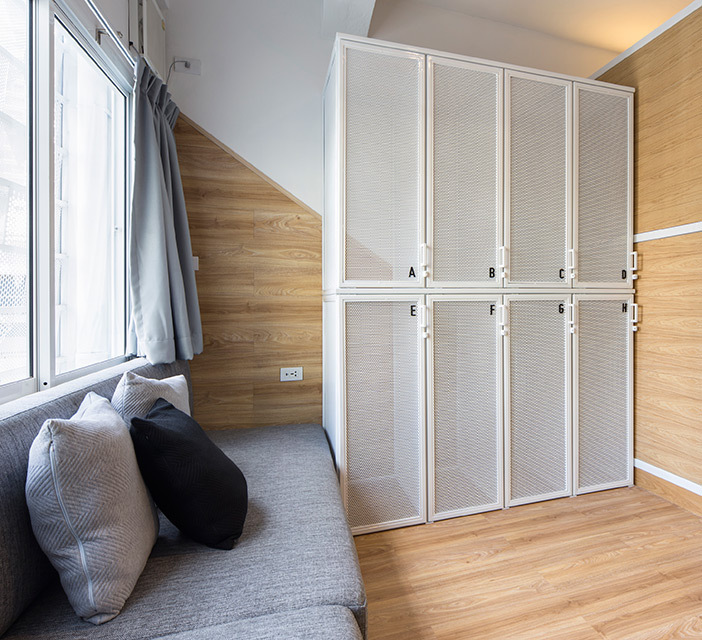 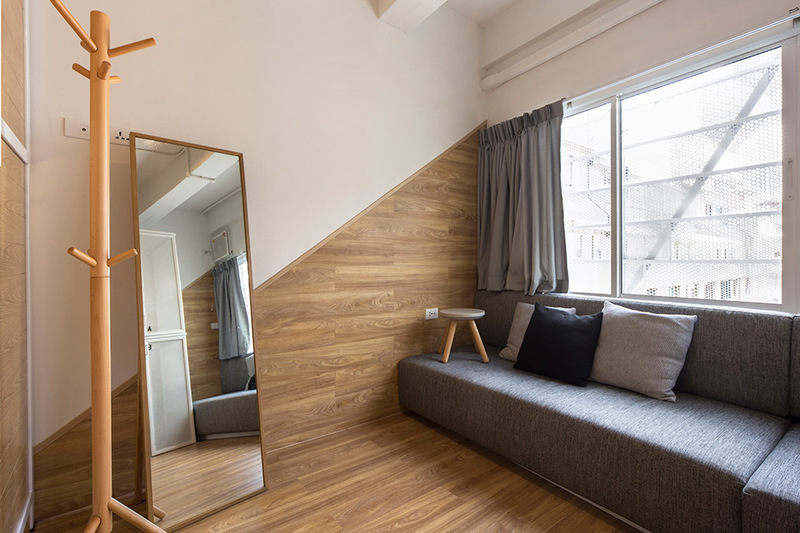 Each dormitory at the same time has its own small area where guests can privately take a rest, arrange their luggage, or chat with each other. 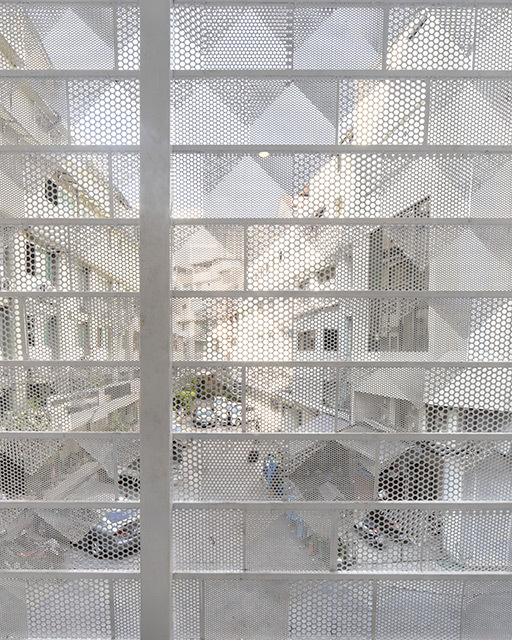 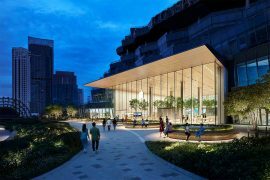 From the outside, the building is covered with the semi-transparent facade system that makes a visual contrast with adjacent blocks and hides the building’s facilities, such as air conditioning. 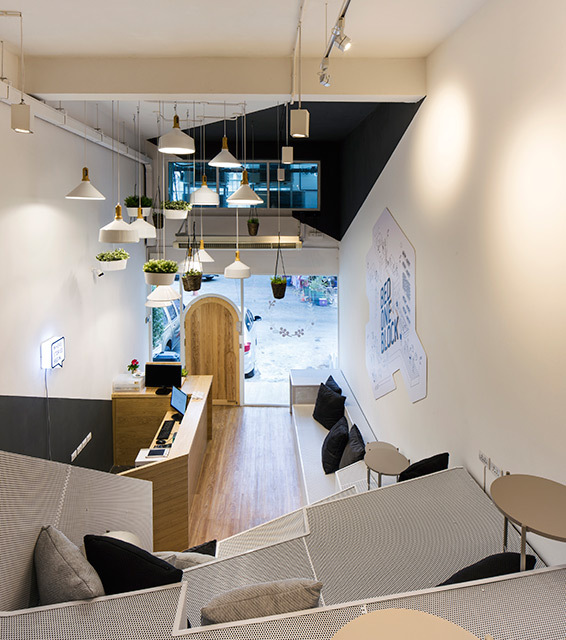 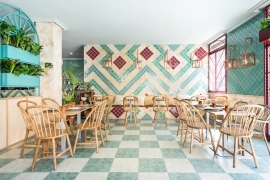 The architects chose a pattern depicting shingle roof that refers to the traditional Thai element. 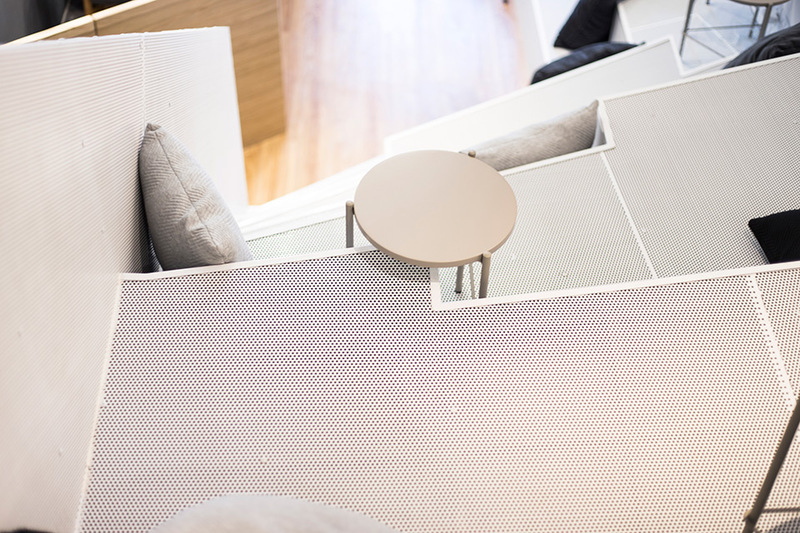 The use of perforated metal sheets with various holes also allows natural light and at the same time provides privacy of the interior space.